Tuerie massive: Les 30 premières min. 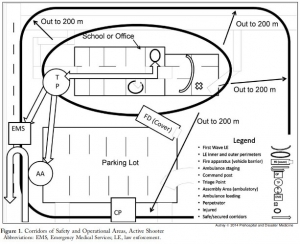 This report describes the successful use of a simple 3-phase approach that guides the initial 30 minutes of a response to blast and active shooter events with casualties: Enter, Evaluate, and Evacuate (3 Echo) in a mass-shooting event occurring in Minneapolis, Minnesota USA, on September 27, 2012. 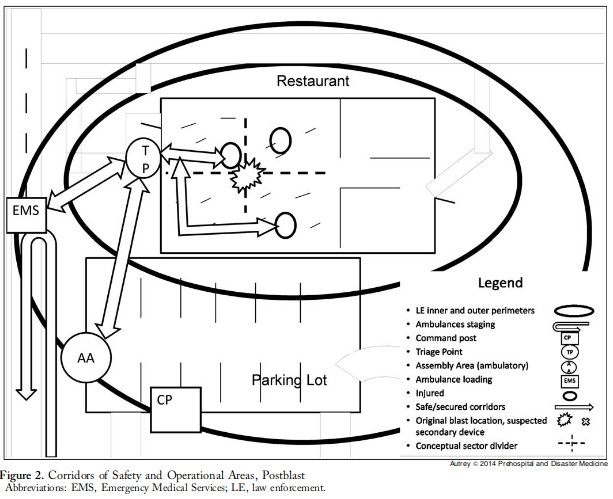 Early coordination between law enforcement (LE) and rescue was emphasized, including establishment of unified command, a common operating picture, determination of evacuation corridors, swift victim evaluation, basic treatment, and rapid evacuation utilizing an approach developed collaboratively over the four years prior to the event. 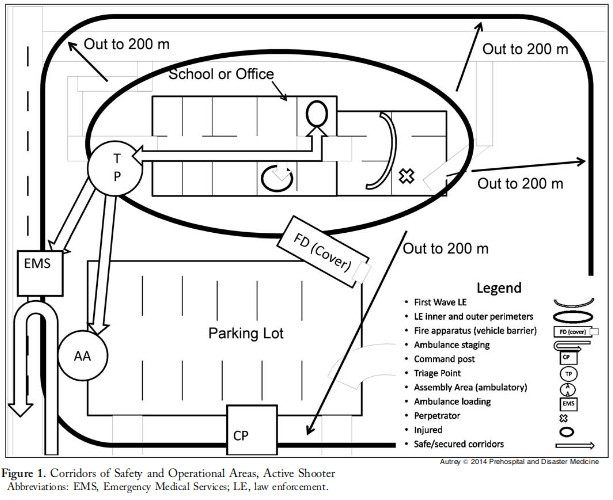 Field implementation of 3 Echo requires multi-disciplinary (Emergency Medical Services (EMS), fire and LE) training to optimize performance. 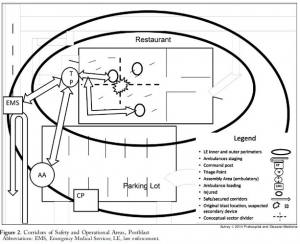 This report details the mass-shooting event, the framework created to support the response, and also describes important aspects of the concepts of operation and curriculum evolved through years of collaboration between multiple disciplines to arrive at unprecedented EMS transport times in response to the event.